Thousands of Connecticut parents will drive with their children in the car almost every day. Driving with any kind of passenger can be challenging, but children provide a perplexing problem because of their demeanor as well as their physical needs while in the car. One of the most obvious things that must be addressed when transporting children is the car seat. Here in Connecticut, infants must ride in a rear-facing seat until they are one-year-old and 20 or more pounds. After that, children must ride in a proper child safety seat until they are at least six years old and 60 or more pounds. Booster seats are recommended for that in-between phase in a child’s development that sees them old/weigh enough, but still not quite fit in a standard seat and belt system. Failing to provide a proper seat can result in the driver having to pay a fine and being required to attend a car seat education class. 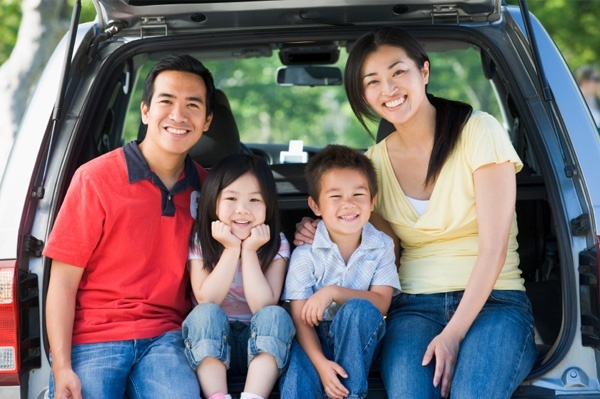 Simply driving in the car isn’t the only consideration for young children: leaving a child unattended in a car long enough that it could represent a substantial risk to their well-being could result in the driver being found guilty of a class A misdemeanor. If this happens between 8 p.m. and 6 a.m., the charge is increased to a class C felony! Getting out of the car with young ones can have its own considerations. Here at The Next Street we teach our students that children are some of the most dangerous pedestrians because they have, at that age, only a loose grasp of consequences. The ubiquitous “Slow, Children at Play” sign doesn’t show a kid checking both ways before crossing the street for a reason! Few children realize their mortality, and the virtue of being careful as a pedestrian should be instilled in them early on. Always hold hands, and make sure they have been prepared to follow verbal commands for their own safety. Any kind of passenger can be distracting, but young children especially so. 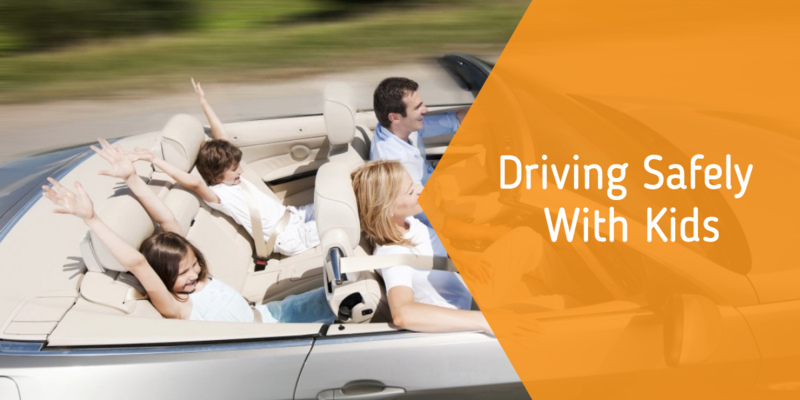 To keep them occupied and the driver focused on the road, driving can be made into a game! There are dozens of driving games that can be easily played with young kids, such as the license plate game, counting all of the cars of a certain color, or singing certain songs along with the radio. Coloring books are also a good choice, as well as anything that generally won’t make a mess in the car. Many cars come with child safety locks. When activated, these do not allow backseat passengers from unlocking their door (and then opening it) or rolling down their window, either of which can spell disaster behind the wheel. Make sure to investigate if your car is equipped with these devices, and know how to use them! Do you have a teen who wants to learn how to drive? Download our FREE Parenting a Teen Driver eBook. It's filled with information on how to help your teen, and yourself, through the driver's education process.